Marianne Neifert, M.D. (or Dr. Mom)--award-winning pediatrician, professor of pediatrics, and mother of five-- delivers a comprehensive childcare guide for contemporary parents. "This is the book that I wish I had when my first baby was born in 1968," she writes in the introduction. "My mother was 5,000 miles away, and my sailor husband, who had been overseas for the last six months of my pregnancy, returned home just a week before our baby's birth." 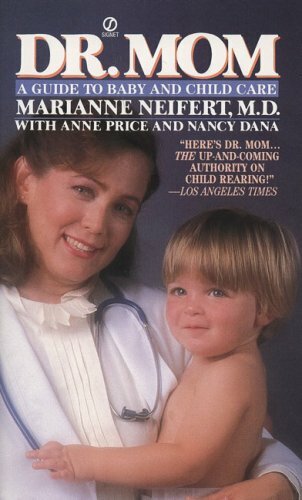 Neifert concisely and amiably covers the important parenting issues, from family planning through age five in chapters such as "Your Amazing Newborn," "Toilet Learning," "Understanding Common Behaviors," "Care of Your Sick Child," "Nonsexist Child Rearing," and "Working Strategies for Working Parents." Controversial issues such as whether to go the traditional hospital route, what kind of diapers to use, whether to use pacifiers, and whether to allow your child to sleep with you are discussed thoroughly in relaxed, matter-of-fact ways. Whether you're a first-time parent looking for answers to basic baby questions or a repeat parent preparing your child for the arrival of a new sibling, Dr. Mom will prove to be an indispensable guide. About Marianne Egeland, M.D. Neifert (Author) : Marianne Egeland, M.D. Neifert is a published author. Published credits of Marianne Egeland, M.D. Neifert include Dr. Mom: A Guide to Baby and Child Care. About Nancy Dana (Author) : Nancy Dana is a published author. Published credits of Nancy Dana include Dr. Mom: A Guide to Baby and Child Care.